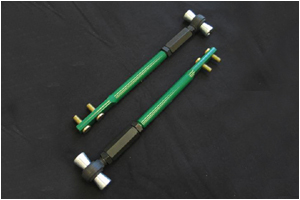 TEIN Pillowball Tension Rods are designed to replace the OEM bushing type rods. 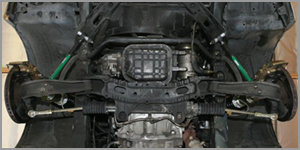 The pillowball type ends help to improve both vehicle acceleration and deceleration by limiting the movement (deflection under load) of the lower arms. Also increases steering response and reduces roll at corners. The Carbon Steel tension rod includes an adjustable turnbuckle, which allows for adjustment of caster angle for more precise wheel alignment.